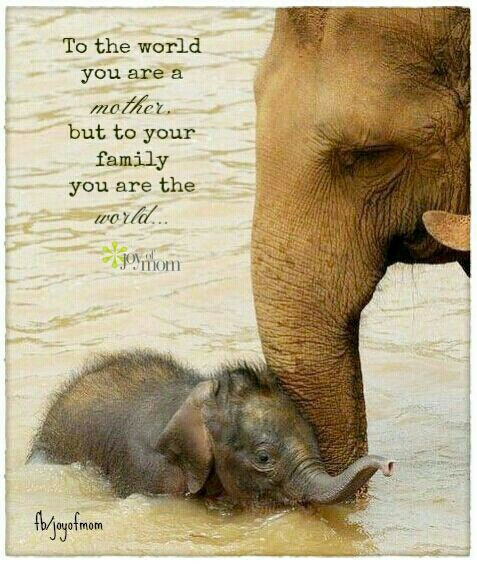 This is a great quote that illustrates the importance of a mother to her family. This also puts the world at large into perspective. The world may be much bigger than us but what we need the most is to be loved and feel our lives have true meaning. Nothing is exemplified more than through a mother. A mother loves her children unconditionally from the first moment she gives birth to her child. This type of love and support is exactly what we all want most in life. So make sure to wish your mom a happy mother's day!